The latest technology Augmented reality will soon transform the way we shop online. 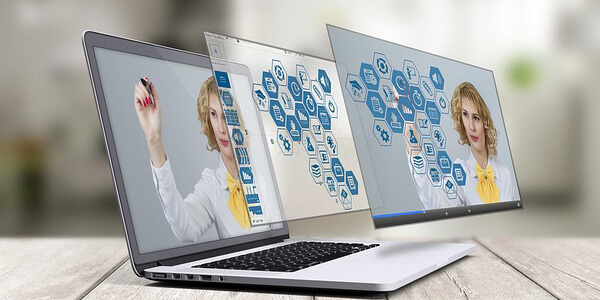 With the advancement of mobile technology and increasing consumers’ demands leads to make augmented reality one of the major platform and technology of the tech world. All the major companies are investing in augmented reality. Some of the major players are Google, Facebook, Apple, Alibaba and so on. And the company that tops the list Alibaba is working in creating virtual and augmented reality services in eCommerce. Meantime e-commerce companies may take their own role in all of this and rise up on this new techs. Still, we see there are many challenges that are faced by eCommerce companies. One of them is the conversion rate. As compared to tradition bricks and mortar store, web stores have a low conversion rate. Usually, in the web store, there is a trust factor that affects overall conversion rate. Customers want to try out the products before they decide to make a purchase. The solution to this aspect is augmented reality. Customers can take benefit of this technology on their mobile devices easily. Here is what customers expect from augmented reality. Customers expect that augmented reality may buff up their shopping experience. There is more than 40% possibility that when augmented reality is used that customer would go online for shopping. More customer trying augmented reality will not visit a physical store. There is also a psychological aspect where Augmented Reality can boost sales. The physical display of the 2D model results in building the trust of the customer. After using AR customers can feel the ownership of the product they are planning to buy. The use of AR can be a great tool for storytelling. Like the one used by Ikea-the online furniture shop. The all over experience create wonder in all ages. After all, a product that makes you happy is worth buying! And last but not least, we read online reviews before buying the products. But in AR you get 3D visualization and test it in your home.